The permission that Washington, Oregon and Idaho received to kill sea lions expires on June 30, and they’ve requested a five-year extension. Sea lions, whether California or Steller should not be used as a scapegoat for overfishing by humans. Japan’s fishing industry once blamed sea lions for their low catches; now they’re trying to reintroduce sea lions to reestablish the ecosystem. Fewer than 20 comments have been made so far. One is from Duanebr / “Boomer” Wright, general manager of the Sea Lion Caves near Florence, OR. He says it looks like there isn’t enough food for the Steller and California sea lions, and points to the extinction of the Japanese sea lion. Japan’s fishing industry once blamed sea lions for their low catches; now they’re trying to reintroduce sea lions to reestablish the ecosystem, he wrote. “I think we should take that as evidence that killing sea lions will not increase the salmon and steelhead populations in the Columbia. The solution to this problem is to increase the population of the salmon and steelhead in the Columbia and all rivers and tributaries along the Oregon Coast. 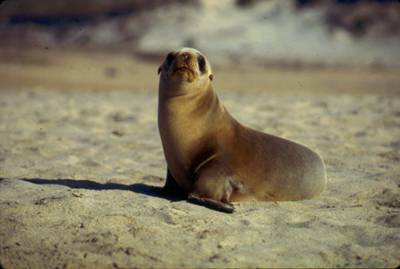 Sea lions, whether California or Steller should not be used as a scapegoat for our misuse of our natural resources,” Wright wrote.